It was in March 2013 that I was contacted by John, via Facebook, with news of an Ashley 1172 Roadster that he knew of that participated in the Regularity section of Historic Acropolis Rally in Greece back in 2008. 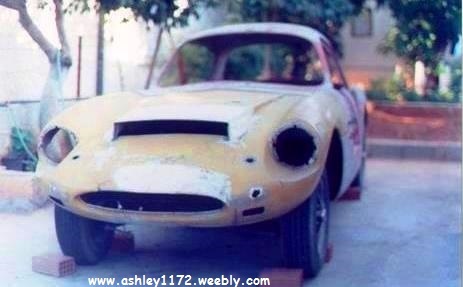 The car is a hand made Ashley Sportiva. It was a works car with a race light bonnet (?) and an engine from an MGB 1800 cc instead of the 1172cc. All the pieces and small bits comes with the car, except the front windshield. It has been dismantled in the past and all the pieces are stored in boxes. In need of a total restoration, it is not registered. 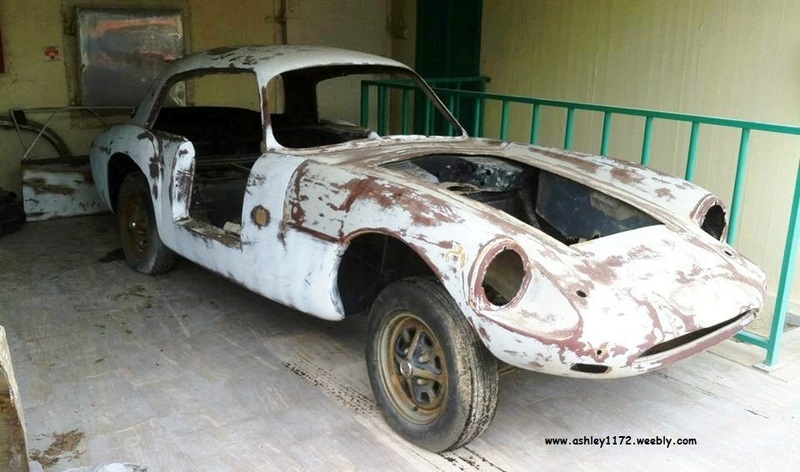 It will not be sold for parts, the seller will prefer someone who knows the value of the car and will buy it for "restoring it"
A couple of weeks later I got further info from John. The advert for this little Greecian Ashley GT was placed for more than 2 years. Ashley Laminates Ltd was a small British Firm, they were making specials, which could be described as little sports cars based on Ford Popular or Anglia chassis with side valve, highly tuned engines. Our Ashley had an MGA chassis and an MGB Engine, an interesting and unusual combination. It was for sale for more than 2 years in a local Greek Car Site. I closely inspected the Ashley yesterday and it was too good to be left there. So I finally bought the Greek Ashley 1172 Coupe. I'll sent photos from the transportation next week. Built in a (probably) 1958 MGA chassis it was modified to fit an MGB engine. It's interesting to see that the Ashley has a LHD steering wheel and dashboard panel, a first for me as I don't remember seeing one before on an Ashley. True to his word John has continued to update me with new photo's of the progress with his new car purchase, the following slides show the car also with the boxes of parts and spares as it was delivered to him in his hometown of Argos. Finally with the car in the workshop of Spoiler G Dritsas who undertook the body restoration for John in Náfplio, Argolis. 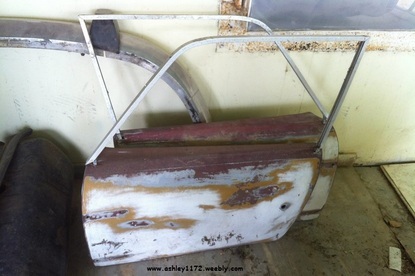 To see more of the restoration/rebuild of this Ashley 1172 click on the photo below.